This report is being produced to fulfil the criteria required for unit 4 of the AVCE course in business. It gives a comprehensive overview and an analytical insight into human resource management at Barclays bank plc. The report particularly focuses on the possible conflict between Recruitment and Selection and Training and Development. At Barclays bank plc in view of current economic climate for banks of competition. * Staff records, Human resources department will keep a record of every employee – past and present. This usually kept on a computer database. The record will include details of the employee’s name and address, date of birth, current job title and salary, starting and leaving date, qualifications and experience and works number. It is important for the department to have all personnel records confidential, especially comments on attendance, punctuality and personal circumstances. * All organisations regularly need new staff – either to replace those who are leaving or to fill in new vacancies if the company is expanding. This is where personnel department comes in. It has a standardised set of procedures that are regularly evaluated and updated. One toughest job for human resources manager is to deal with redundancies, when the company finds that it has too many employees for the work available. Redundancy occurs when the company stops trading altogether, so that everyone is out of work. In addition, when the company continues to trade but no longer requires the services of some of its employees because the need for their particular job has disappeared. It is sensible for any organisation to encourage its staff to take further qualifications or to participate in training programmes. This will mean that they will be capable of taking on different types of work or doing their existing job more efficiently. The necessity of training will enable junior employees to develop their skills and obtain higher-level qualification. Also the existing employees will be able to cope with the change the their jobs, e.g. the introduction of computers and word processing. * Knowledge of purpose of performance management and a description on how business’s approach may be influenced by motivational theory. It is the job of the human resources department to negotiate with trade unions. The human resources managers of an organisation will liase with shop stewards and/or local union officials, at either branch or district level, over issues with which the union would be concerned. 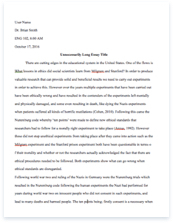 After I have covered all the points above I will then at the end will draw up a conclusion about the whole assignment and put my opinion forward on what I thought of this assignment. Human resources also known as personnel management are the most important resource in any organisation and there is direct connection between the quality of the workforce and commercial success. If an organisation has staff who are committed to meeting its aims and objectives, equipped to do so by adequate training and motivated by management to achieve their potential then that firm is likely to succeed. It is the job of the human resources management to recruit, develop and retain quality staff. In a small business with perhaps one or two employees, responsibilities for human resources will lie with the owner or with the partners, while small companies may have one person whose job is to look after issues relating to staff. On the other hand large organisations with many employees will have a whole section devoted to personnel and, in this case my chosen business relates to it. Personnel department was set up originally to look up after the welfare of employees and the day-to-day administration of policies affecting them. Gradually the idea developed that a specialist understanding of issues such as recruitment, training, welfare, payment and employment law was important for business performance. However for some years not all businesses were convinced, some companies believed that personnel department was unnecessary. Human resources are concerned with the employees who work for the organisations. Wise organisations regard staff as the most important resource. This department involves jobs like recruitment, involvement with selection, and the employment of staff. The department keeps all personnel records and is usually responsible for the training and development of staff, staff welfare, security, health and safety monitoring, relations with trade unions, and manpower planning, redundancy, severance and discipline. The importance of human resources department varies from one organisation to another. In some companies, it may be large department with highly qualified staff. In others, it may be much smaller, which often indicates the importance the company attaches to its staff. The term human resource management (HRM) first appeared in the 1980s. Now personnel has shifted from being a servicing department to one linked with business strategy. The emphasis is now on actively helping the business pursue its goals by creating and maintaining an appropriate workforce, but there is still a good deal of routine administration and record keeping going on. Today HRM uses a number of sophisticated techniques such as psychological tests (used in recruitment and promotion) and systems for staff appraisal and performance management. * The external labour market from which new staff will be recruited. This depends on the type of work, skills needed and the size of the businesses. The company may just look at the local labour market, or might want to look at the national and even the international labour market. HR planning attempts to anticipate demand for staff and to match this to the supply. It is important to get this right because if the organisation has too many staff it will be inefficient and on the other hand if it has too few staff it will not be effective. In Barclays Bank people are particularly important because they serve in a competitive environment and several banks are surrounding them. To ensure that they are ahead of the competitors and do not lose any of their customers, Barclays staff deal with their customers promptly and make sure that the customers are served as soon as possible. Barclays does offer services that are highly labour intensive. Despite the widespread of IT, jobs in the service sector are rising rapidly. Barclays are open only 5 days a week and it always closes at 5 p.m. so most of the time Barclays is packed with customers, especially during lunch hours. To prevent their customers waiting in the queue for hours and hours Barclay’s employ particular staff just for customer service that are always in cashiers desk making sure that all customers are served in no more then 5 minutes. With skills, which are scarce in the labour market, this would cost a lot of money because you would then be training lots of employees. But on the other hand if your workers are better skilled then your competitors this would mean it would get your work done more efficiently and better then your competitors and would help Barclays to keep on gaining the largest market share. But they would have to then increase the wage of higher skilled workers as they would be fully trained and can be poached by other large firms who pay salaries that are more attractive. There are fewer graduates as figures show 1 in 3 people leave education at the age of 16. This means they are hardly any graduates this means they are hardly any skilled people in the labour market. What I think the government could do to stop this is to increase the compulsory education age to 18. This would then give the average person a chance to gain more skills or the other options would be to make further education look more attractive more appealing to youngsters so they stay on. What large firms can do is cut down their wages to school leavers. I mean cut them down a lot as this would act as a deterrent to school leavers and all peoples who think about leaving school. The branch I am reporting on is the one in Upton Park in Newham borough. Therefore, in this branch not many highly skilled or qualified workers are required as they give full training to all new staff, and because of all branches of Barclays that branch is one of the smallest branches, but people do need to have at least six G.C.S.E passes in any subjects. Therefore, everytime they want to recruit new staff it is not too difficult to find. Barclay’s staffs are told that they are on the right track as long as they have good communication and listening skills, with good skills of handling money and know basic maths. It is easy for Barclays to find the sort of people they want because they start recruiting people every year between July and August because this is when students finish school or college and, from whom some decide to look for full-time job and stop their education. Since Barclays bank opened all the staff that are now managers and supervisors or directors all once used to be just cashiers and they built their way up to those positions. So most of the employees are not graduates but there are few that are because all the systems have been modernised and only fully educated and graduates would know how to operate the systems. Therefore, the level of education is mixed. They have people that started to work for them after they finished their G.C.S.E’s, people that just finished their A Levels and people with degrees, who are obviously in the higher level then the G.C.S.E. students. People that worked for Barclays when it first opened are still working for them because they are now familiar with the bank in every way they are very comfortable and believe that they won’t get a better job then this. However, people that worked for Barclays in recent years have been leaving rapidly and this occurs for many reasons. People think they can work for a better company or the working environment does not suit them or perhaps even the wage did not satisfy them. Although everybody that did leave were not aware that the longer you work for them the higher you pay rises. It is a good sign for businesses if staff stay for long time, however problems do arise for the businesses because of the long time workers. Because the business needs continues growth and in order to do that they need new skills that needs to be added to the jobs, which will improve the service more, and the long time workers have very few skills which by then will be quite weak for the business and not all workers are willing to learn new skills. This could have a big affect on the business. People that stay for short time also bring problems to the business in the financial way. Everybody that qualifies to work for Barclays have a one week training, which does costs the business a lot and when people leave they leave with good training qualification but brought very few profit to the business so it’s a waste of the banks money. In order to make up the number of people that left they will need to recruit more staff that will cost them even more. Even then, they will not know after the training how long the person is going to stay but because of the company’s laws and rules they have to recruit and train staffs before they can start working for Barclays bank. These percentages are normally calculated on a yearly basis. It may be used to measure the turnover of a whole organisation or of groups, e.g. departments, within an organisation. Barclays bank sickness rate amongst staffs are very low, according to them their staff are rarely sick due to the working conditions. Barclays bank have air conditioners fitted all around the areas where their staffs are going to be operating and as soon as the room temperature rises above the normal room temperature the conditioner switches on automatically. The system is equally same during winter the automatic radiator switches on as soon as the room temperature falls below the average temperature however, if staffs feel too hot they can lower the meter down manually. The working areas are always clean and all staff must comply with the health and safety rules for their own safety and for others. A high sickness rate would indicate about the firm is that the working area is not safe or clean to work in. This might mean the firm is breaching the health and safety rules and employees can take legal action against the firm. A high injury rate gives an indication that the firm is not a safe area to work in. Although many accidents are caused by lack of common sense and consideration. If common sense is used then common injuries can be prevents, such as poor lifting habits, avoiding on slippery floors. However, by their very nature, some jobs are more dangerous than others and the likelihood of accidents is higher. Management must be aware of this when drawing up the human resources plan. The Health and Safety Executive (HSE) is able to bring criminal charges against employers under the Health and Safety at Work Act 1974. Barclays bank injury rate is very low, this is one of the reason why long time workers are very reluctant of leaving their job because they feel safe working there. The average wage rate for Barclays is ï¿½9000 to ï¿½13495 per annum. The wage rate in that particular sector is ï¿½4.50 an hour. The labour market is a very competitive market. This is mainly because the unemployment figures have dropped, they have been the lowest with figures coming below a million people being unemployed compared to in 1992 when the figure had reached 3 million people unemployed. This basically means that firms have fewer choices of who they can employ. Firms that are looking to employ a vast amount of people (lets say Barclays decides to open another branch where ever) they would not have the flexibility to look at a variety of people, only a limited amount of people will be available, as the employment figures have dropped, fewer people are looking for work. This then makes the market a very competitive market as large firms like Barclays would like to employ the best skilled workers they can find and so would other competitors of Barclays. In general, all businesses are becoming more flexible. If labours are inflexible then businesses will have difficulties on retaining their employees. If they are not flexible then employees are prepared to quit their job. Once an employee quits a job and has particular experiences, they can easily get another job but if an organisation loses an employee, it takes time for them to find a person that is suitable for the job role and it also costs them more money and takes up a lot of their time. Due to the lack of staff the business can come to a halt then the business will lose money and during that time, the competitors can take advantage and be able to steal all the customers away. The labour problem firms could have if it has peaks and troughs in demand for its product or services is that there might not be enough staff to meet the demands. The staff might not want to do the extra work. The job might require special or new skills that not all employees might have. This is the unemployment rate in UK. By looking at this I am able to say that in future it will be harder for Barclays to find employees that are suitable for their firm, as the numbers are decreasing day by day. Similarly in future Barclays will find it hard to recruit suitable workers for their firm because in Newham the educational world is not looking good either. Barclays can recruit people but they will need effective training unlike if they recruited qualified people with high qualification who already know things about the business very well, which would benefit Barclays a lot.